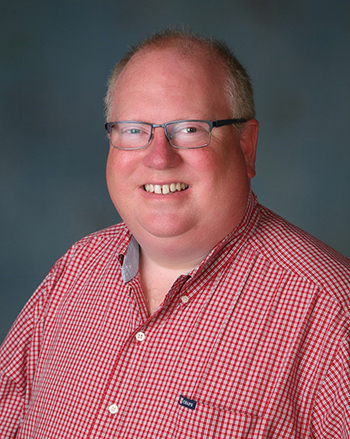 About his career, John Herath (Farm Journal News Director, South Bend, IN) said, “Nearly all of my career circles back to an unplanned internship at a local radio station. Since then, I’ve been fortunate to be surrounded by a lot of very smart people who have been gracious and patient enough to let me learn from them.” It was at that station, WLDS in Jacksonville, IL, where John first worked with Mike Adams, then the station’s farm director. 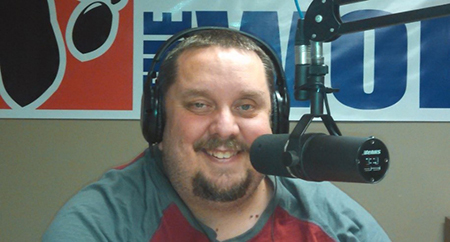 John worked full-time in the station’s news department through his college years. Mike Perrine was the farm director at the cross-town rival. After graduation, John did a brief stint as news director at WIHN (Bloomington, IL) before moving to WFMB/WCVS (Springfield, IL) where he co-hosted a morning political talk show and served as backup to legendary farm broadcaster Peggy Kaye. 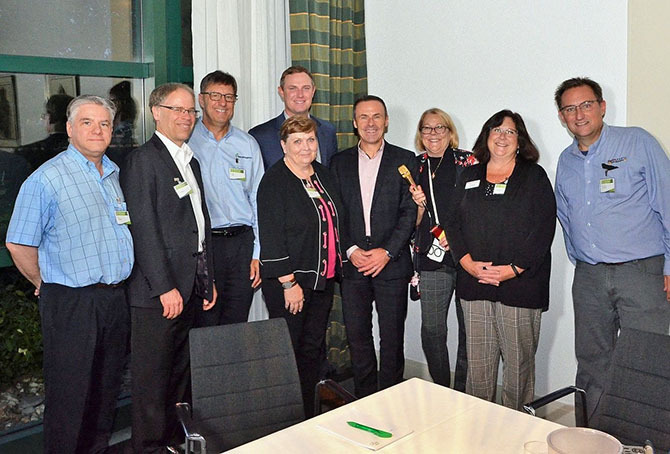 “Peggy not only taught me how to read a markets screen, but she also shared her tenacious news sense and how to relate on a personal level to the radio audience. 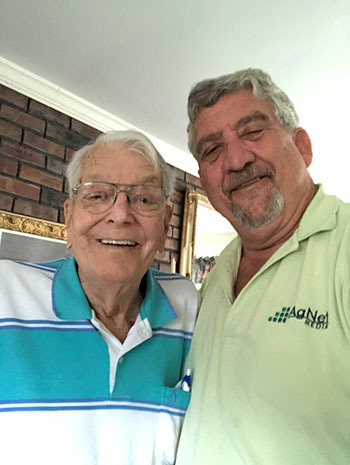 Everett Griner,at 92 years young, is turning off his Southeast AgNet microphone to officially retire, reports Gary Cooper, right, (founder and president of AgNet Media, Inc., Gainesville, FL). Everett plans to spend more time with his wife at their farm home in Moultrie, GA. “There are so many things about Everett that I learned to appreciate and respect since he joined the Southeast AgNet farm broadcast team in the late 1980s. 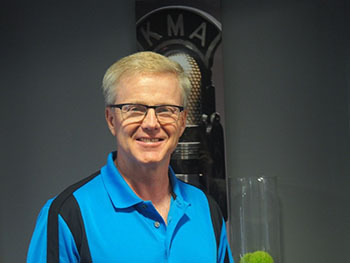 “It’s been an honor to work at KMA (Shenandoah, IA) all these years,” said Dean Adkins. “It is still a family-owned radio station that’s been going strong since 1925, serving southwest Iowa, southeast Nebraska, northwest Missouri, and northwest Kansas. I’ve had the opportunity to ‘wear many hats’ while working at KMA.” These days, Dean hosts a morning talk show and a buy-sell-trade program while also serving as Ag Services Director. “I also enjoy helping out in the sports department with some wrestling and football reporting.” As Ag Services Director, one of his main passions besides relaying basic market information and general ag news is to get out to the people in his listening area.